Drawn in 1996. At the time, "Sylvania" was a story I was working on since I was 11 (1987). 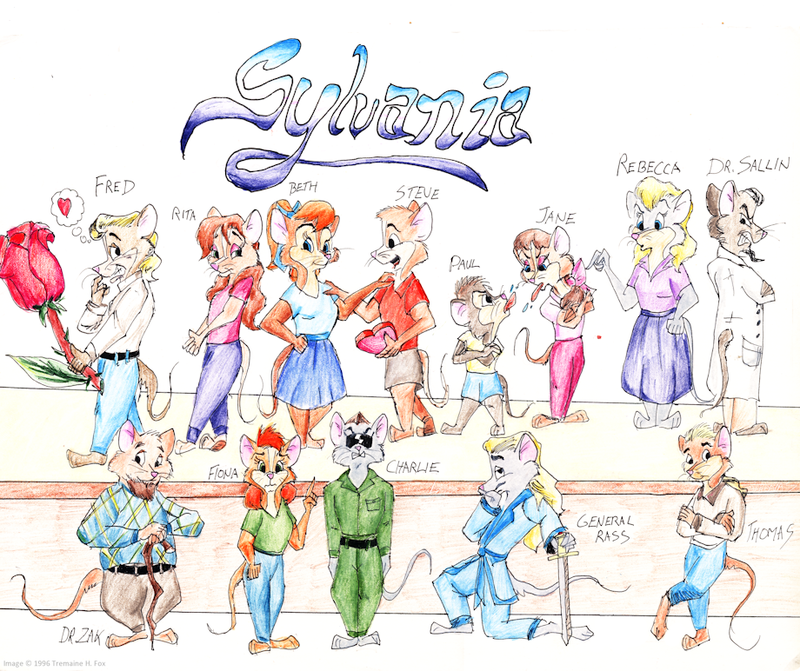 Before I found furry later in 1996, I gave the entire cast a color treatment. I also changed General Rass from a rat to a very, very suave mouse. I doodled some concept pages of the comic, but never did anything beyond that. Sadly, I don't recall anything about any of my characters. I am glad I saved this and scanned this, however! There are some neat designs and concepts I could re-purpose at some point. Please ONLY credit the art to "Tremaine" or "Tremaine H. Fox" and a link to the image. (NSFW) for current content! I'll be picking one of the images I upload per day and redrawing it, and posting it on one of these accounts!